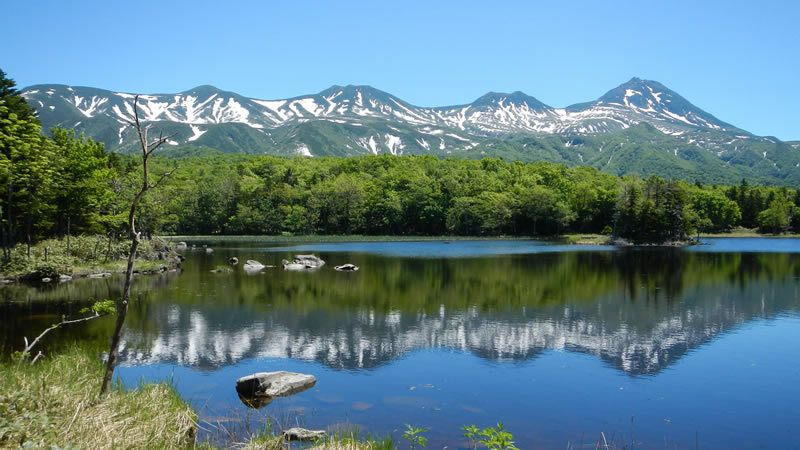 Witness flora & fauna as you traverse the primeval forest surrounding (5) pristine lakes reflecting the Shiretoko Mountain Range. Truly, "World Heritage". Long boots may be required in deep snow conditions. Prior to admission to the Ground Pathways, all visitors must attend a short information lecture. 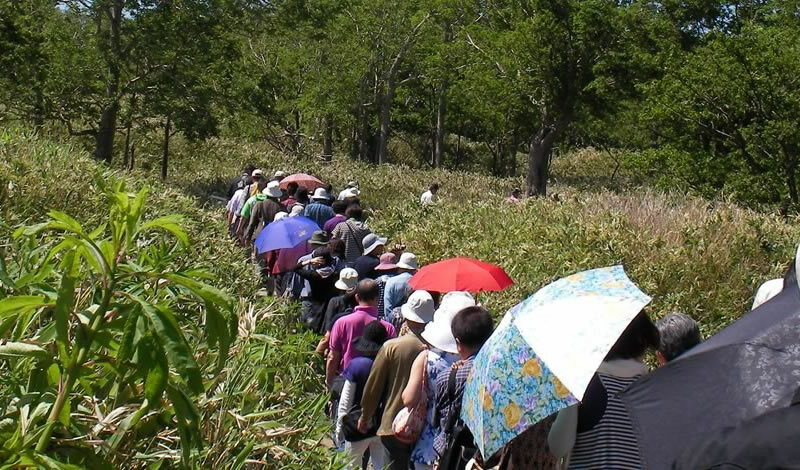 In order to preserve the marshlands and vegetation, a maximum of (50) visitors are admitted at a time with (10) minute intervals. Reservations can be received (10) days to (30) min. before the lecture. Should bears appear, the Ground Pathways will be closed for safety reasons. The Ground Pathway is only connected to the Elevated Wooden Path at the Lakeside Observatory through a uni-directional gate. Short and long duration routes are available along the Ground Pathways. There is no charge to use the Elevated Wooden Path. There is no toilet / shop inside the ground pathways. 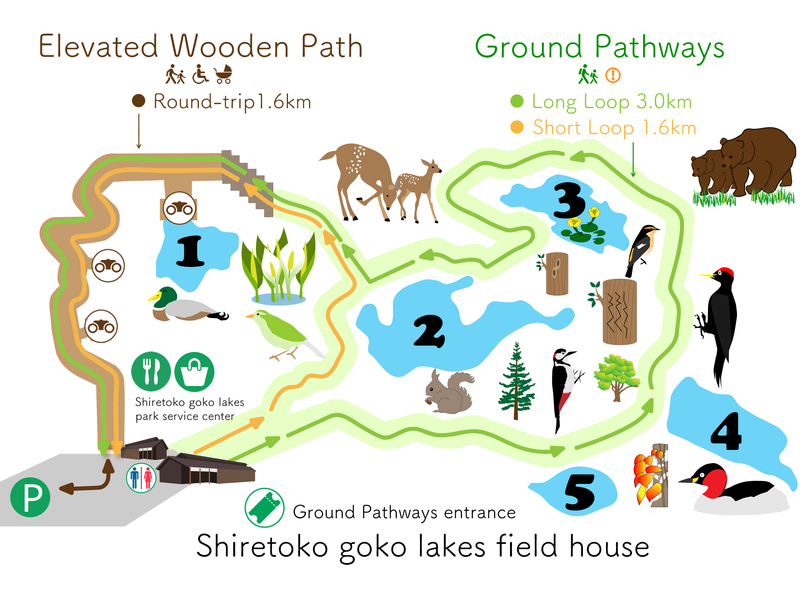 Individuals and groups must complete the form and be approved at the Shiretoko Goko Lakes Field House when visiting during the Eco Preservation Awareness Season. (Groups require the representative's name, address, and number of group members) The form can be completed at the Field House or download, complete and submit it during your visit. Admission tickets can be purchased at the vending machine in the Shiretoko Goko Lakes Field House, and presented with your completed form. Duration: (10) min. After which admission to the Ground Pathways is allowed. Reservations not required. Please continue to the Shiretoko Goko Lakes Field House directly. Please make reservations online. Reservations can be received (10) days to (30) min. before the lecture. 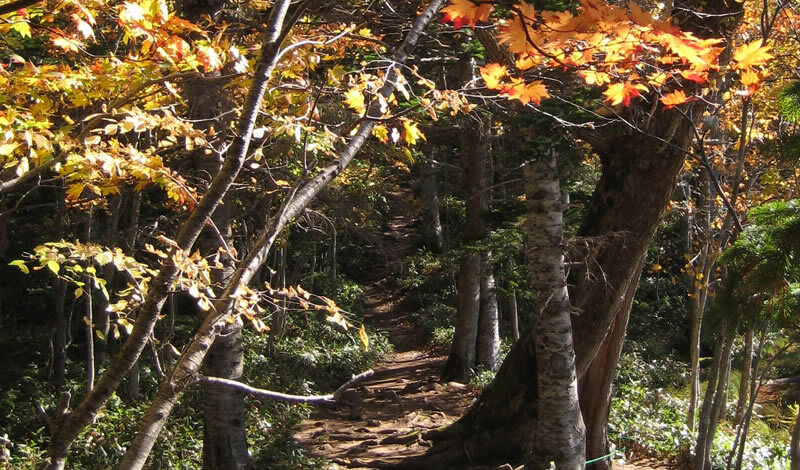 Registered Guides offer tours along the Ground Pathways (fees apply). Tours leave at (10) minute intervals and have a maximum of (10) participants allowing for a more intimate experience. Registered guides are well trained to avoid and handle encounters with bears. Guides are equipped with radiophones which update bear activity for safety. The tours may be cancelled if bears appear. 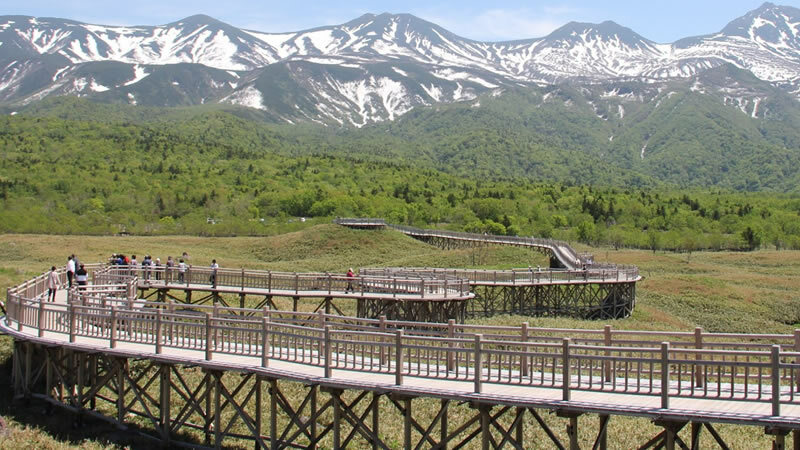 Visitors are permitted to walk freely on the Elevated Wooden Path. 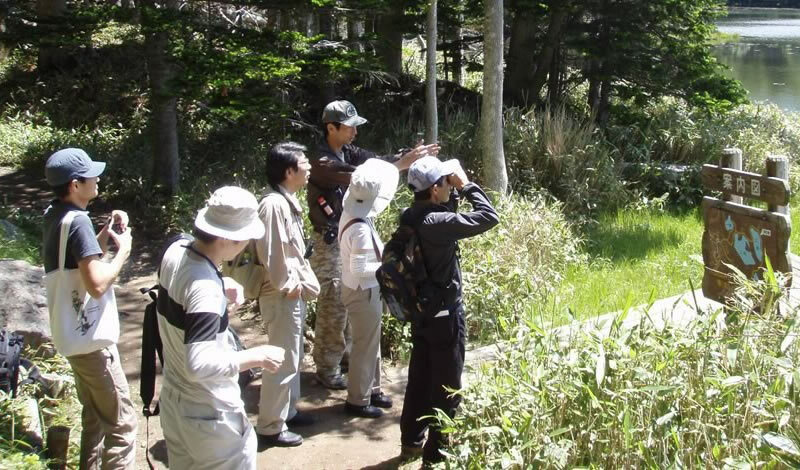 ※1 The time required for the long loop tour is 3 hours, the participation fee varies depending on the guide company. ※2 The time required for the short loop tour is 90 minutes, 4 daily tours (9:00, 11:00, 13:30, 16:00), reservation impossible, on the first come first served basis. ※3 Please inquire in advance about the participation of children who are pregnant, preschool children or babies. - Check online for tour availability. - If there is no availability try contacting a Registered Guide for a reservation. 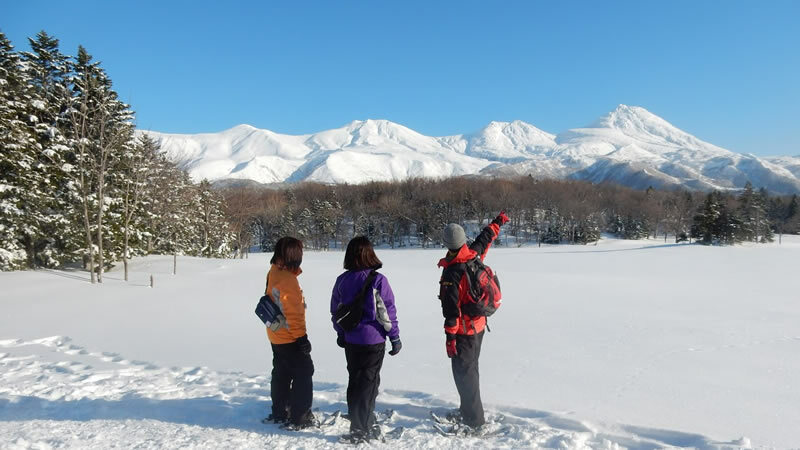 ※ Guide reservations are not available from this site. Please refer to the Reply Mail for tour guides. Please "Click" Read More on the Registered Guide page for tour fees and cancellation policy. There is no charge to use the Ground Pathways. 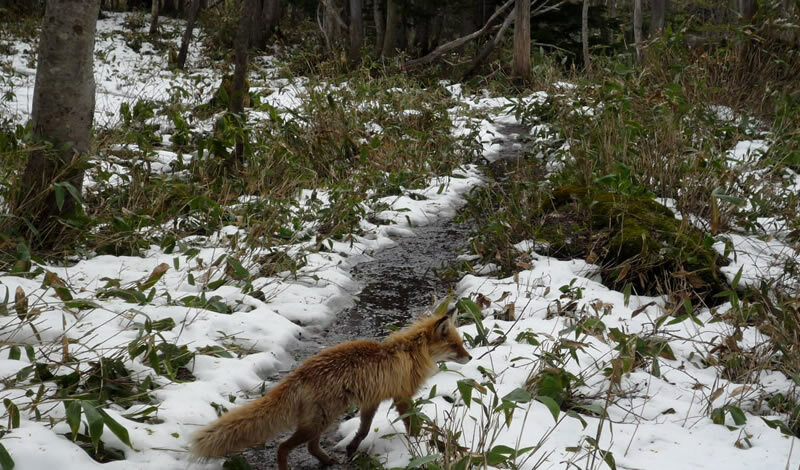 We will close the Ground Pathways for safety reasons when bears appear. The Ground Pathways is only connected to the Elevated Wooden Path at the Lakeside Observatory through a uni-directional gate. You can walk freely on the Elevated Wooden Path. You can take a free lecture before you go on a stroll (please fill in application form). Lectures are held every 15 to 20 minutes.